← How to convert a document of html to bmp image? 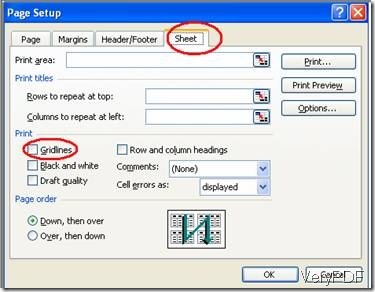 Why can’t I find any grid on my PDF copy of Excel document? 2 Click on the “File” button on the ribbon bar. 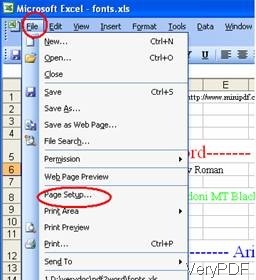 3 Select the “Page Setup” option on the file menu, and Page Setup panel will appear as illustrated below. 4 Then, click on the “Sheet” button and check the box on the left of “Gridlines”, you will find a tick appear. 6 Don’t forget to press “OK”. 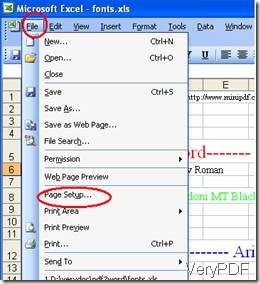 7 Use docPrint to print a PDF copy of the Excel document. 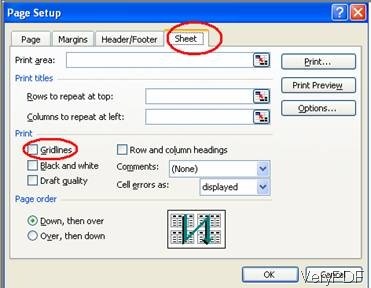 Here, you can get a PDF file with gridlines. This entry was posted in docPrint Pro and tagged excel to pdf. Bookmark the permalink.